The days of 10% increases when renewing the lease on your house or flat are all but extinct. In tough economic times good landlords and good tenants should find ways to negotiate creatively if they value their relationships. 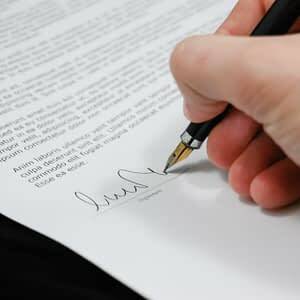 So as an investment property owner or a tenant, how do you get it right if you’re signing your first joint lease, or wanting to negotiate a lease for the coming year? What are your rights and responsibilities, and how can you negotiate a lease that leaves everyone smiling? Shaun Groves, Gauteng rental manager for Lew Geffen Sotheby’s International Realty, believes the benefits of the stringent new regulations far outweigh the drawbacks as long as both parties take the time to understand what exactly they’re agreeing to. Groves adds that although getting to grips with the minutia of three voluminous acts is close to impossible, there are certain basics that both landlords and tenants must understand. The Rental Housing Act No. 50 of 1999 and the subsequent Rental Housing Amendment of 2014 state that the deposit must be paid into an interest basing account and that the interest accrued must be included in the deposit refund. De Kok adds that a tenant’s deposit should never be refunded before the end of the lease period, and even then only once a joint inspection of the premises has taken place. Genevieve Smith, regional rentals manager for Lew Geffen Sotheby’s International Realty in the Winelands, adds that in terms of the Rental Housing Act it’s mandatory that both ‘incoming’ and ‘outgoing’ inspections are attended by both the landlord/agent and the tenant. “Together both parties must establish the condition of the property and who is responsible for which repairs and the inspection report is then signed off by the tenant and landlord. If there are no deductions from a deposit, your landlord must issue a refund within seven days of the inspection and if repairs are necessary the deposit minus deductions must be refunded within 14 days of ‘restoration of the dwelling’ as per the relevant acts. If a tenant refuses to attend an inspection, though, the landlord will have 21 days to transfer the refund. Most professional rental agents agree that maintenance is the most common source of dissent between tenants and landlords and it’s therefore a clause that needs to be very clearly defined in the lease. Lorraine Dellbridge, rentals manager for Lew Geffen Sotheby’s International Realty in Cape Town’s Southern Suburbs, Noordhoek and False Bay, says tenants have varying perceptions of their maintenance obligations and which repairs are for the landlord’s account. “The rule of thumb is that while landlords are responsible for the main structure of the home that includes the plumbing and electrical systems, they are not responsible for damage caused by wear and cannot be expected to send out a handyman to replace worn tap washers and light bulbs,” she says. The obligation of any landlord is to offer the property for rent in a condition ‘reasonably fit for the purpose for which it was let’ and to keep and maintain the property in accordance with Health and Safety standards and any local and relevant law. “In simple terms, if the exterior wall paint is peeling after years of being exposed to the elements, repainting is for the landlords account but if a wall needs to be repainted after the tenant knocked in nails or put up shelves, then it is not the landlord’s responsibility to repair the damage. The days of standard 10% year-on-year increases are long gone and if landlords are not open to negotiation, they risk losing stable, reliable tenants. According to Groves, the CPA (Consumer Protection Act) effectively prohibits one from “contracting out of Law”. The implication is that when the original lease is drawn up, assuming the original term is only 12 months, it can’t contain a set percentage escalation clause for year two. This means rent hikes must be negotiated and agreed to at the time of the renewal. Tenants of good standing should remind the landlord of this fact when the lease is up for renewal and they should also include an up-to-date credit report to motivate their renewal. Groves reminds tenants and landlords that these negotiations are a two-way street that must ultimately benefit both parties. “When it’s time to negotiate a lease renewal, I always recommend instead of simply asking for a reduction, tenants should rather do their homework and try to find practical, creative, pro-active, cost-effective compromises. Finally, the area which is still the cause of much confusion is the tenant’s rights when the landlord wants to sell the property. Smith says: “Quite simply,’huur gaat voor koop’ which means that while the owner has every right to sell his property, the lease takes precedence and the buyer is bound to all the material terms of the lease agreement.